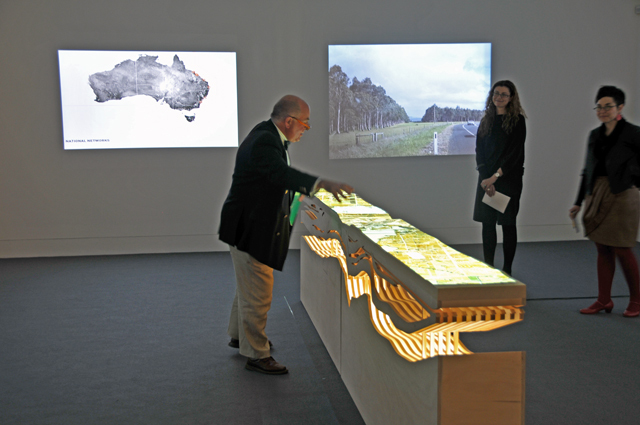 Last night saw the exciting opening of the 'Transiting Cities' competition exhibition at the LaTrobe Regional Gallery. The event was officially opened by the Lord Mayor of LaTrobe, the Honourable Sandy Kam, and guest speakers included the wonderful Richard Elkington chair of Regional Development Gippsland, and the most eloquent Esther Anatolitis, Director of Regional Arts Victoria. The Exhibition travels to RMIT's Design Hub Gallery next week to see the Competition Prize winners announced at the opening event Friday 14th December, 6:30pm ... all welcome!